Nancy Jones had a very creative childhood, which inspired her to follow the Arts all through her education. 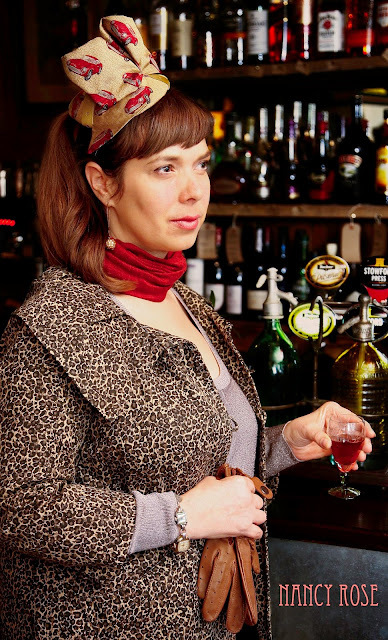 She’s had a rich and varied working career in Bristol for the last 18 years as a freelance costume maker and model maker and a large part of her portfolio is her animation work. Employed in a variety of capacities on films, commercials and exhibitions, making costumes for puppets, props, models and making and dressing sets, in between film work Nancy utilised her sewing skills once more in the employment of making corsets, dresses, fancy dress outfits, curtains, cushions, doing alterations, making props for theatre and the Olympic ceremonies….. 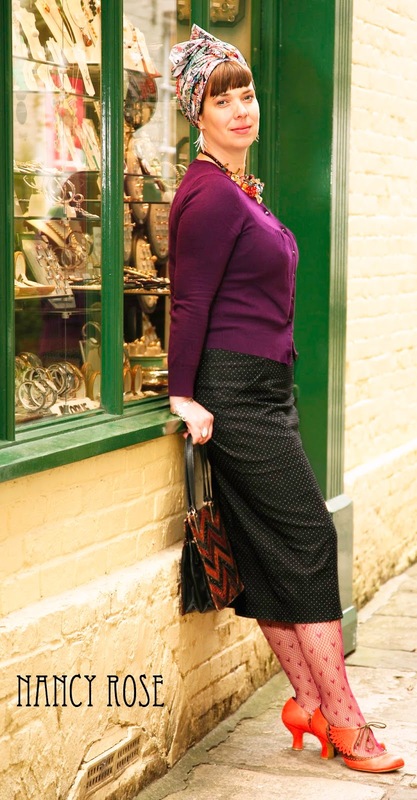 When she moved to the country with her family last year it gave her the opportunity to follow her heart and start her own business. 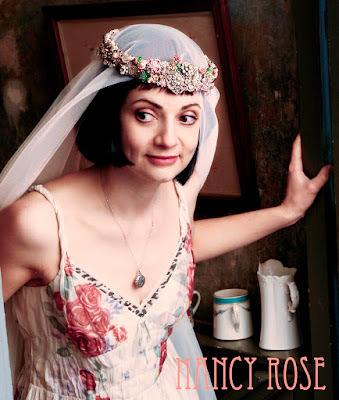 Convinced she was a magpie in a former life, Nancy’s never far from a market, charity shop, jumble or car boot and her passion for years has been fabulous fabric and fascinating trinkets, dressing up and making and creating……. 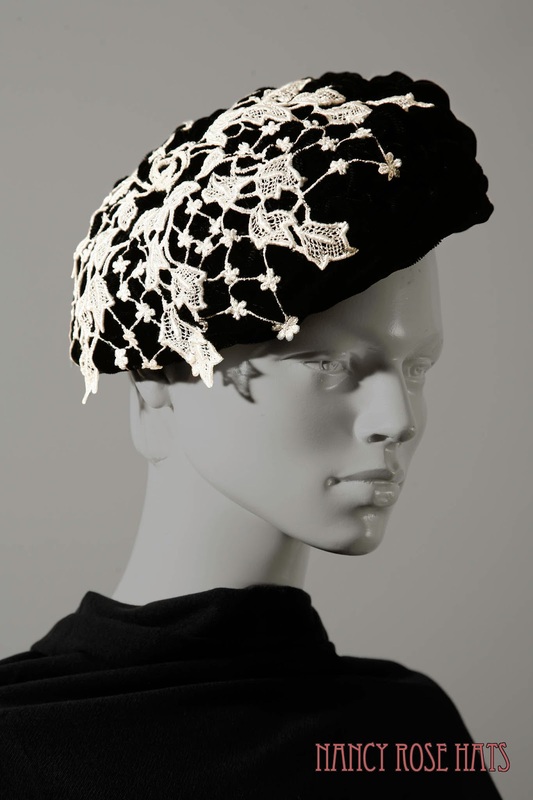 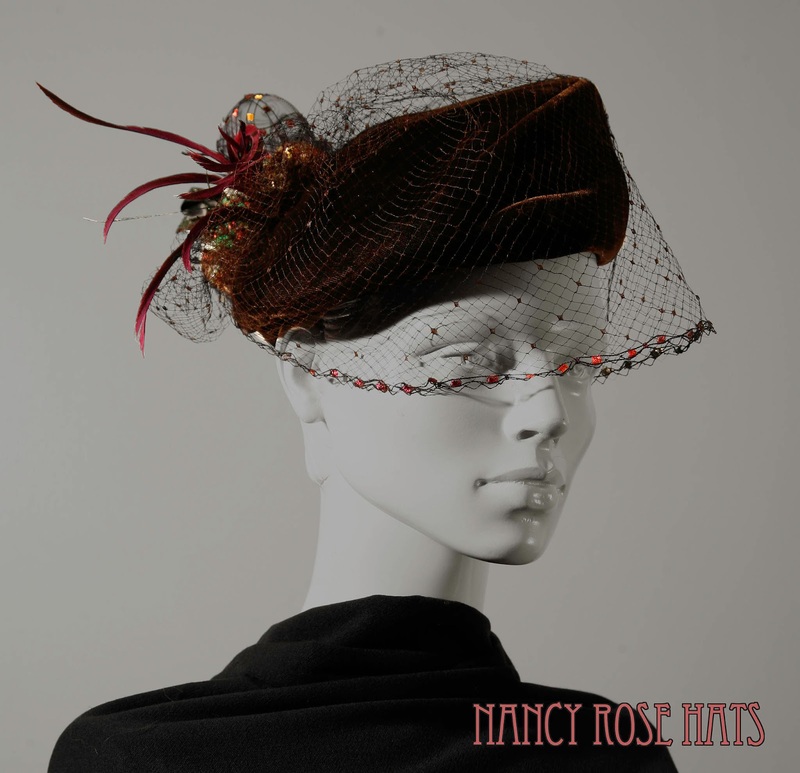 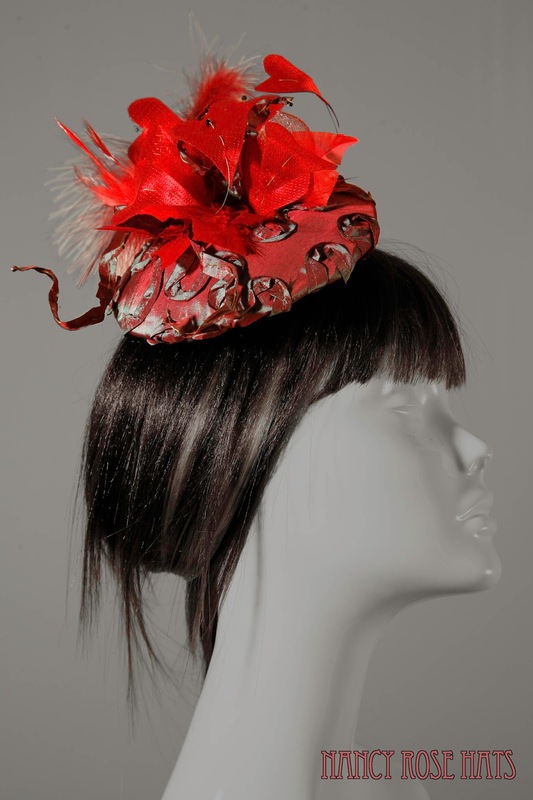 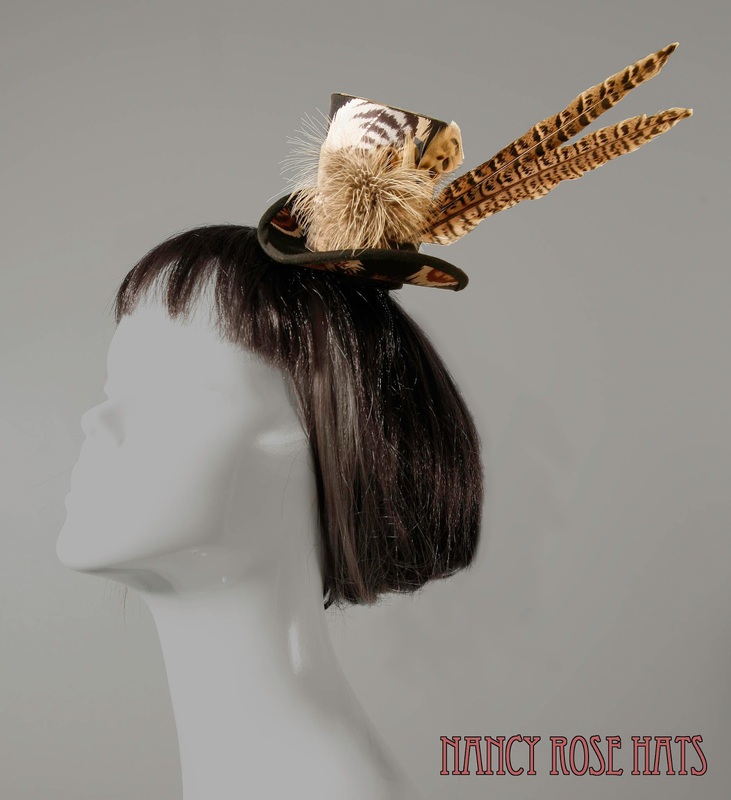 Nancy has created a whole new range to show at the wedding fair and we’re really excited to see her beautiful millinery!